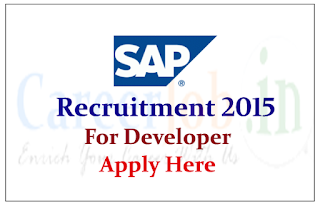 SAP is hiring freshers for the post of Software Developers. Eligible candidate can apply online as soon as possible before link expires, for more details check below. Interested and eligible candidate can register through above link as soon as possible before the link expires. Proficiency in any Object Oriented programming language, especially ABAP Objects. If experienced in other programming languages, must be open to learning and working in ABAP.